Tired of visiting national real estate websites to find information about your home and neighborhood? 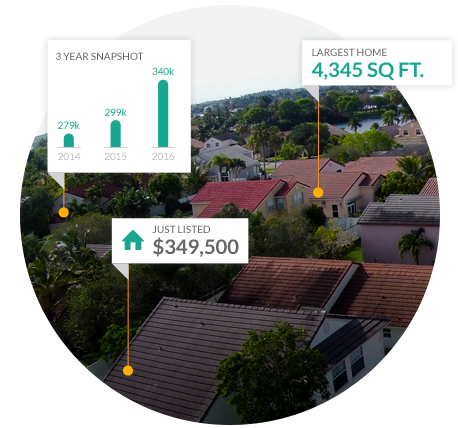 With ePropertyWatch , you can have all this along with what nearby homes are for sale or have recently sold or how much your home might be worth in the next two years and much more. ePropertyWatch delivers what you need to know about YOUR home and neighborhood straight to your inbox that is tailored just for you. You will be able to keep your finger on the pulse of your home’s ever-changing value. Native of Colorado - Northern CO Market savvy ! Efficient, organized and effective providing a high level of service, knowledge and trust. Optimum Statistical Pricing System averaging a 98% list-to-sale price ratio. Certified Digital Marketer utilizing the unique selling points of your property to effectively target and attract the right potential buyers. Fiduciary Obligated knowing the legalities of real estate and that it's usually the largest financial transaction most people will make with a huge Fiduciary Obligation for the right Broker. A Strong Work Ethic to keep everyone informed throughout the selling and buying process. It's the results that count - it is the only measure to getting your house sold. Easy-Exit Listing Agreement - Just as the name applies, our Easy-Exit Listing Agreement puts the control in your hands. West Realty's mission is clear - to exceed client's expectations with professionalism bringing them a 5-star experience.